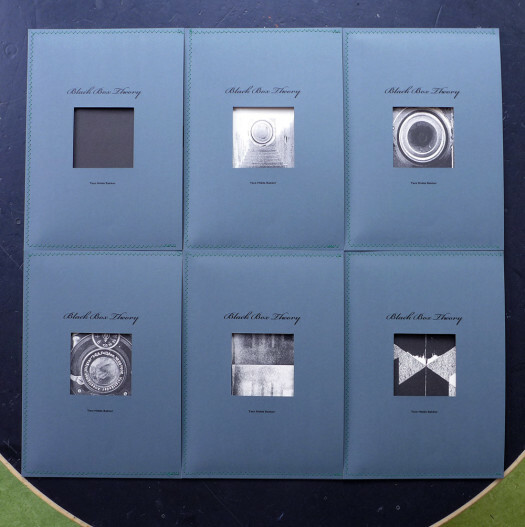 For the series Spiegelrefleksies (Mirror-reflections), curated by Danielle Lemaire for Extrapool (Nijmegen, NL), I created a publication called ‘Black Box Theory’. 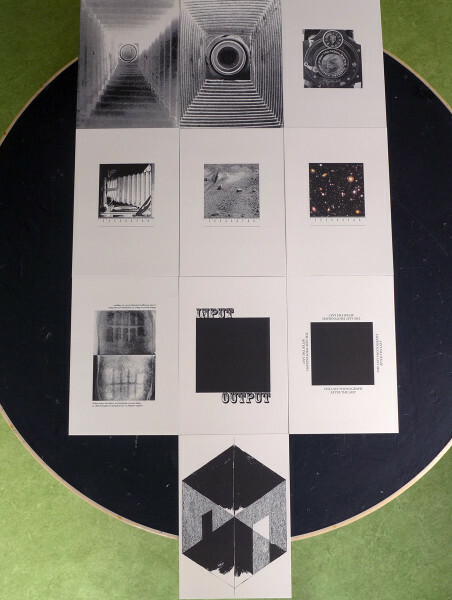 It’s an apperceptive visual theory of ten images sometimes in combination with text, partly inspired by the photogrammatic works of Babs Decruyenaere, and completed by a short prose poem. Astrid Florentinus made a drawing based on the title -> Input: Black Box Theory; Output: a wonderful drawing (that perfectly fits the ‘theory’). The risograph presses at the stencil workshop of Knust delivered a beautiful and tactile job. Limited edition of 70, signed and numbered.